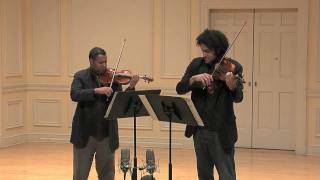 Ilmar Gavilan - Violin & Juan Miguel Hernandez - Viola (www.hernandezjm.com) from the Harlem Quartet play Halvorsen/Handel Passacaglia on Stradivarius instruments at the Library of Congress in December 2008. "Courtesy of White Pine Music. Copyright 2009 Central Michigan University." Sound engineer: Scott Burgess. 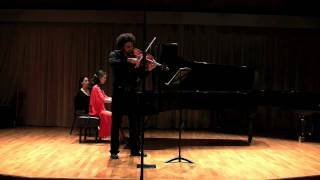 www.hernandezjm.com :Juan Miguel Hernandez-Viola & Makiko Hirata - Piano perform "From My Heart" for viola and piano by Paul Coletti. 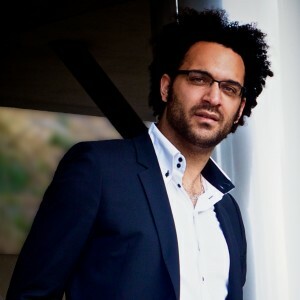 Recorded by Ben Maas May 2009 in Thayer Hall of the Colburn Conservatory, Los Angeles. 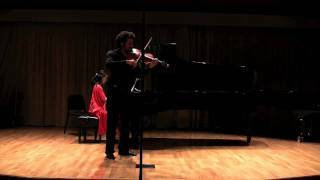 www.hernandezjm.com :Juan Miguel Hernandez-Viola & Makiko Hirata - Piano perform Brahms Viola Sonata in Eb-Maj op.120 N.2. 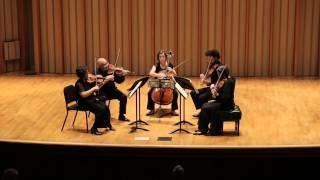 Recorded by Ben Maas May 2009 in Thayer Hall of the Colburn Conservatory, Los Angeles.